To address the need, I prepared a quick PS function. Posting it here for my blog readers reference. Run the below command to merge above two CSVs. 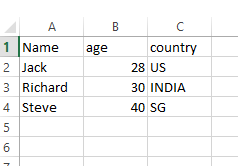 Output CSV will be like this. The csv merge works to a point, as the new output file is created. 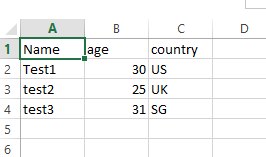 However, the data is not populated in the new csv file, nor is the additional column with the file name from where it was imported. Any thoughts on what I’m doing wrong? Thanks! Mary, please post the command you are using. I will be able to help you validate that. I don’t understand the purpose of the entire code above when the code below the two examples works. I’m VERY new to PowerShell and I’ve tried to no aval to get the larger code to work. I’m not sure what I’m missing. The second code worked like a charm. Great script it save me a lot time as I had to merge several cvs files. Glad to know that it helped!!. Thanks Rick. Did you copy paste the code into your powershell window? Is it possible to import an entire directory into this function? This functionality is not available in current version of the script. Needs some modifications. This, what Ryan asked i exactly what I need also. Could you please tell us which modifications needs to be implemented? You can try this assuming all your csv files are in c:\files filder. thank’s it help me in my work it’s exactelly what I want ,i remove the filename colomne ,thanks Scott T.
Could you please help me figure out adding a piece of code to remove / avoid duplication of same data. 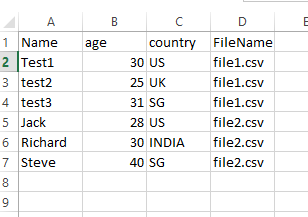 If any of the files have the same data then do not duplicate during the merge. I have tried Sort, Unique but did not work. Hi, Please share what you have tried. We can try helping based on that.